I have seen this plant grown occasionally before but this was the first season I tried to grow it. I loved it. It was like something from Jurassic Park. 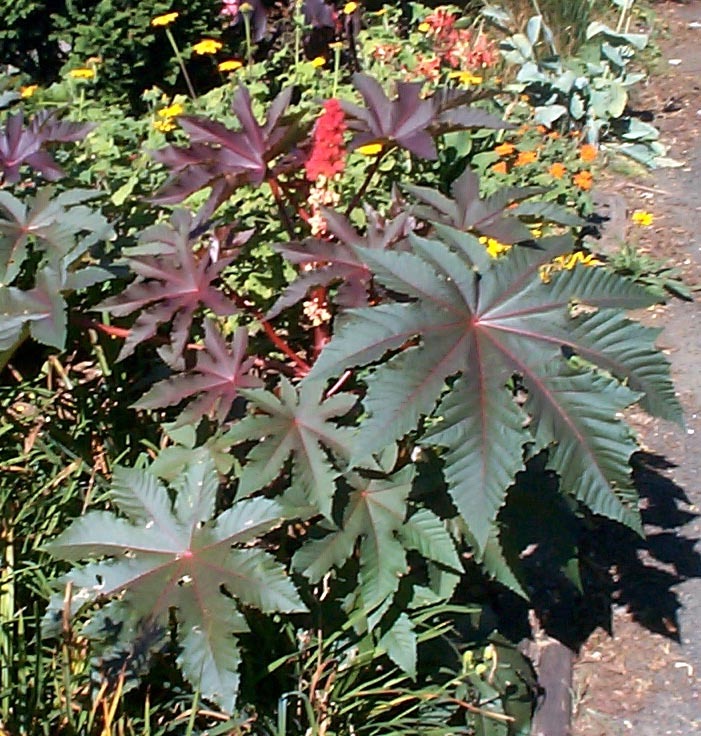 Reaching 5-6', with huge reddish green leaves and bizarre red seed pods, these plants demanded a second look. Easy to grow, preferring good sunlight to bring out the best leaf color. This gets larger leaves if given a bit of water but is quite drought tolerant when established.